MOSAIC is a crowdsourcing photography project and free public exhibition, harnessing the potential of imagery to connect people, places and moments. Every photograph in MOSAIC reveals a personal story and a unique moment in time, forming a collective memory of our life and culture in WA. Mosaic is a crowdsourcing photography project and free public exhibition, harnessing the potential of imagery to connect people, places and moments. Every photograph in Mosaic reveals a personal story and a unique moment in time, forming a collective memory of our life and culture in Western Australia. 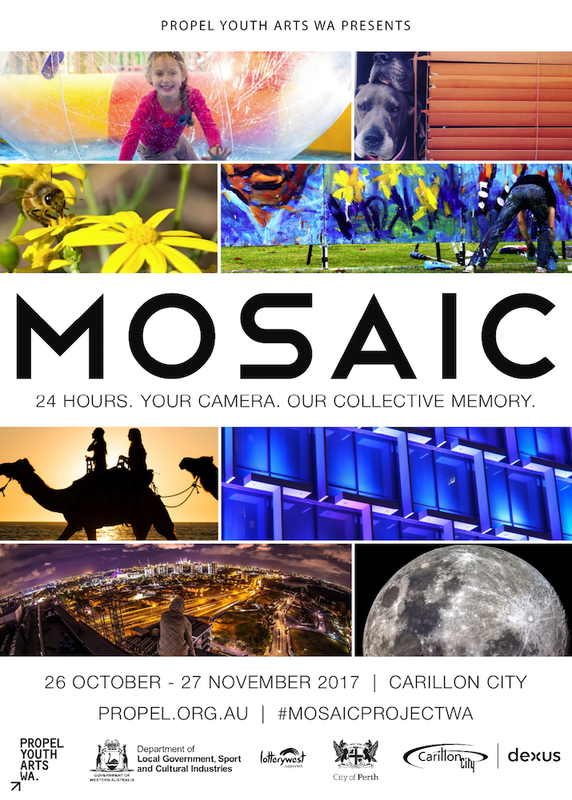 Come along and check out the 300+ submissions received from across Western Australia for this year’s Mosaic exhibition, which takes place at the City Arts Space, in the Northbridge Piazza, every day between Tuesday 16 October and Sunday 11 November between 10.00am and 4.00pm. Every photo submitted is displayed in chronological order – from before sunrise until midnight – some highlights for this year include: showing the electric atmosphere at Optus Stadium for the West Coast Eagles’ preliminary final dismantling of Melbourne and punters enjoying the opening day of the Perth Royal Show. 10 beaches, 7 national parks, 4 adopted animals, 3 weddings, 2 funerals and 1 child birth are also represented in this year’s exhibition. 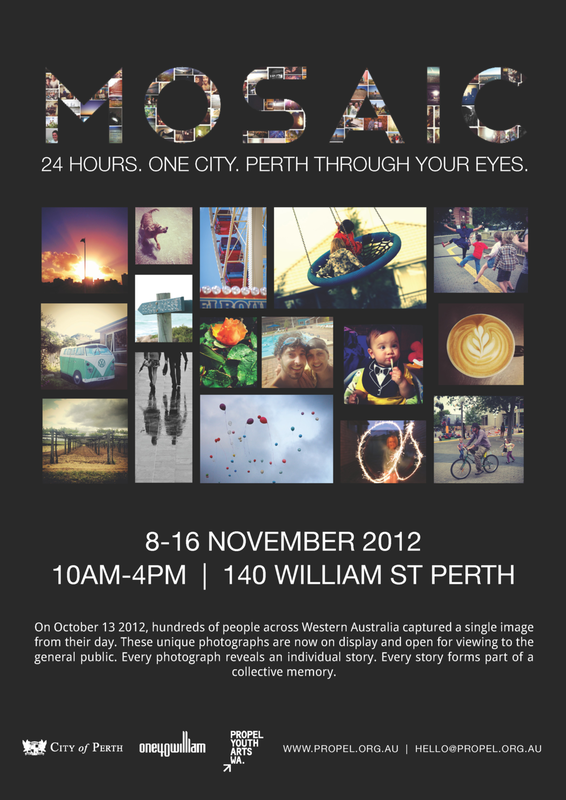 Mosaic in 2018 is presented by Propel Youth Arts WA in partnership with the City of Perth. Propel is supported by the State Government of Western Australia, through the Department of Local Government, Sport and Cultural Industries, and Lotterywest. Mosaic 2018 is also supported by Camera Electronic, Captain Cook Cruises, and Fitzgerald Photo. Mosaic is a project close to Propel's heart and has been running since 2012! To check out what Mosaic was like in the past click on the year you'd wish to view below.